For nearly 50 years from 1868 until the outbreak of war in 1914, Vanity Fair produced weekly caricatures of royalty, politicians, cultural and sporting icons and other leading figures of the day. It became the most successful society magazine in the history of English journalism and its distinctive caricatures captured the people who shaped the British Empire when it was at the height of its powers. There were few within the Victorian and Edwardian establishment who were not secretly flattered to appear within the pages of Vanity Fair. The caricatures continue to fascinate the scholar and less serious collector alike for their historical and biographical value as well as their artistic and satirical qualities. 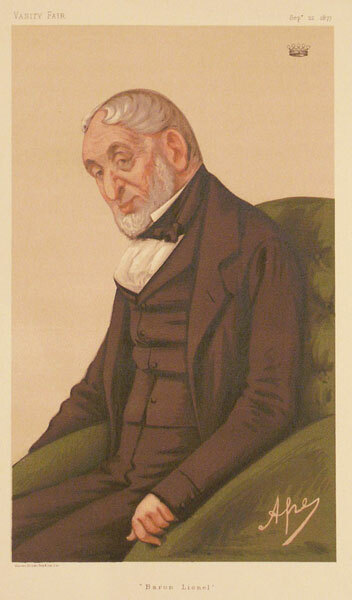 With a few exceptions, the caricatures are very similar in style and are therefore easily recognisable; the palette, the subject’s pose, the size and the setting all remained remarkably consistent throughout the magazine’s history. The aim was to highlight the characteristics of popular figures and exaggerate what was already there. They were not intended as cartoons but neither were they meant to be entirely realistic.